Things that inspired me in May were Syd Barrett, Percy Bysshe Shelley, book Northanger Abbey by Jane Austen, Margaret Sarah Carpenter’s paintings, collages, Andy Warhol, Velvet Underground’s debut album, Brigitte Bardot, David Bowie’s song ‘Moonage Daydream’, films Cemetery Junction (2010), Ghost Town (2001) and Submarine (2010). I’ve been a bit obsessed with The Libertines and Pulp. 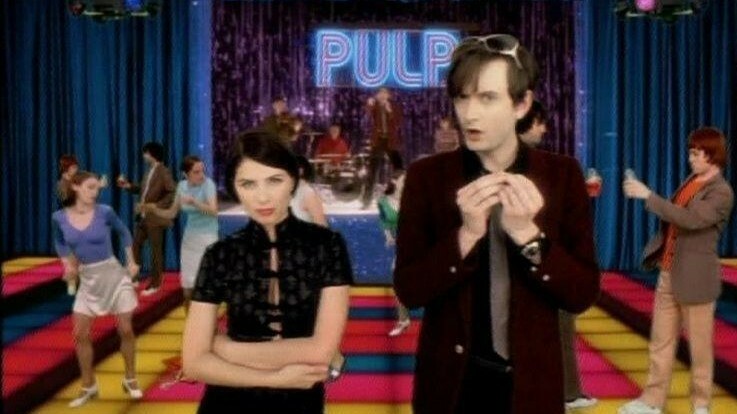 May I add that Pulp has amazing music videos, especially for the songs Common People, Disco 2000 and Do You Remember The First Time, though the latter can give you a headache, but it’s brilliant nevertheless. Wales, Romanticism and Nicky Wire’s lyrics; three things that I love finally amalgamated! Did I really need another reason to write this post? The first thing one can notice in the painting A Welsh Sunset River Landscape is a rather different atmosphere than in the usual ‘romantic landscapes’. 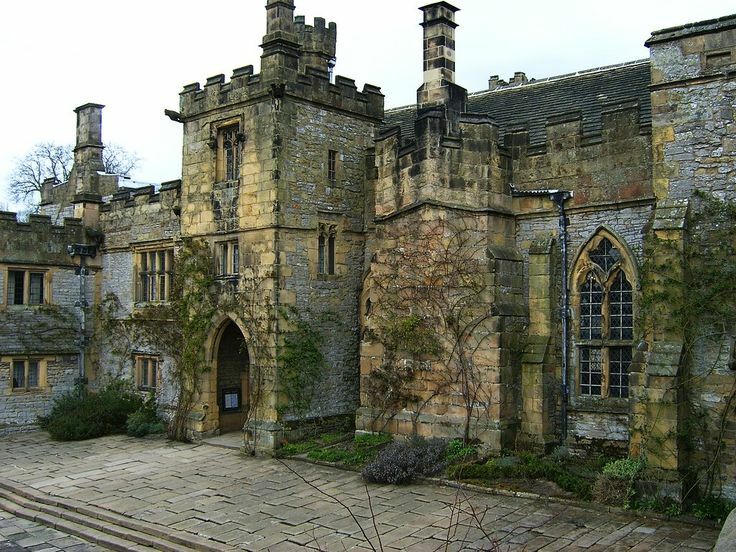 Romanticists were infatuated with sublime; wild landscapes, storms, mists, mountains and old ruins; anything unusual and unexplored fascinated them. 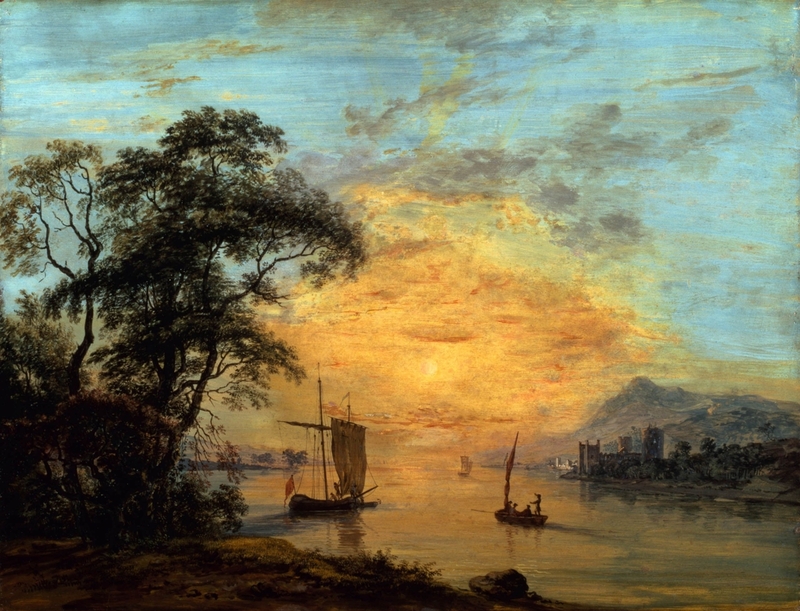 This painting, however, shows a rather better wetter; Sandby beautifully captured the end of a sunny day – golden sky, mountains and a castle in the background, boats sailing out of the harbour and a dash of trees in the foreground; a scene awfully picturesque but not even a tad bit sublime. 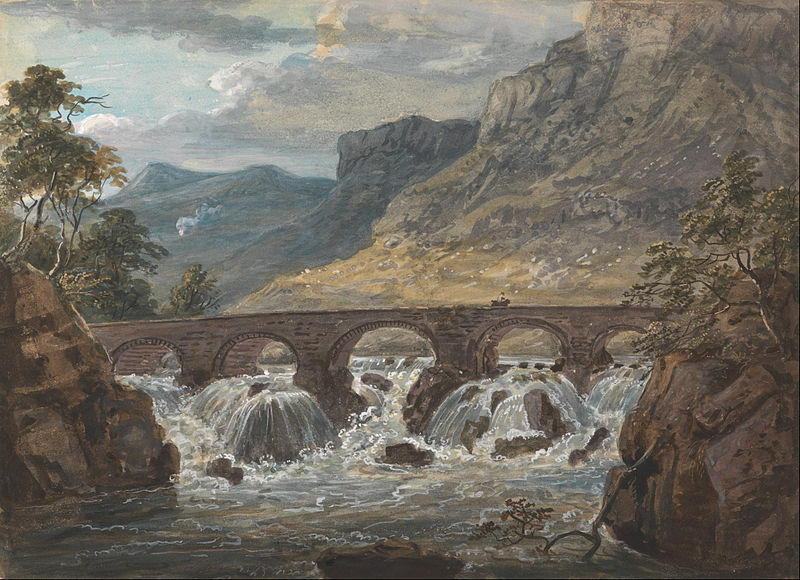 The already mentioned fascination with wildernesses along with a typical romantic wanderlust, prompted British artists to travel to wild and unexplored areas, such as Wales which was discovered by artists and wanderers even before the Lake District and the Scottish Highlands became hot-spots of Romanticism. Spirit of Romanticism first came to the fore in landscape painting and British artists became infatuated with untamed scenery as early as in the 1760s. The situation was different in France where the Neoclassical style was dominant. 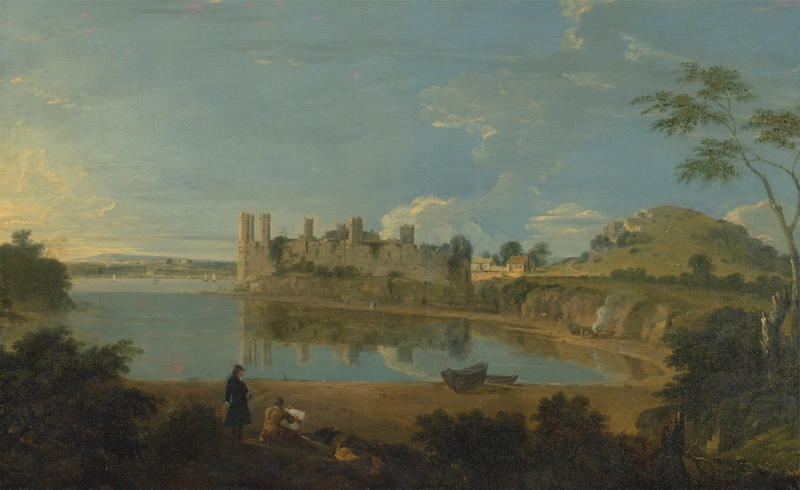 Paul Sandby, an English painter, made his first recorded visit to Wales in 1770. 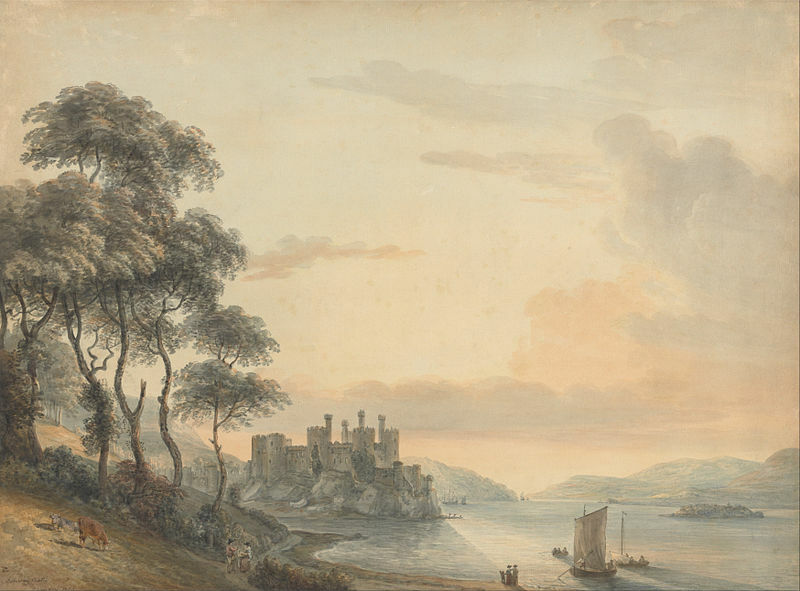 He made three trips to Wales all together; in 1770 and 1771 he visited North Wales and painted the famous Caernarfon Castle, and in 1773 he toured South Wales in the company of Joseph Banks, an English botanist and naturalist. His three short journeys resulted in many pencil sketches, watercolours and oil paintings. Sandby’s paintings represent the very essence of what the artists found inspirational in Wales and its magnificent nature. From castles and old ruins, sublime mountains and lakes of the north, to the splendid coastline, picturesque hills, the meandering waters of the River Wye and the famous Tintern Abbey; the seductive beauty of Wales compelled artists to capture it on canvas. 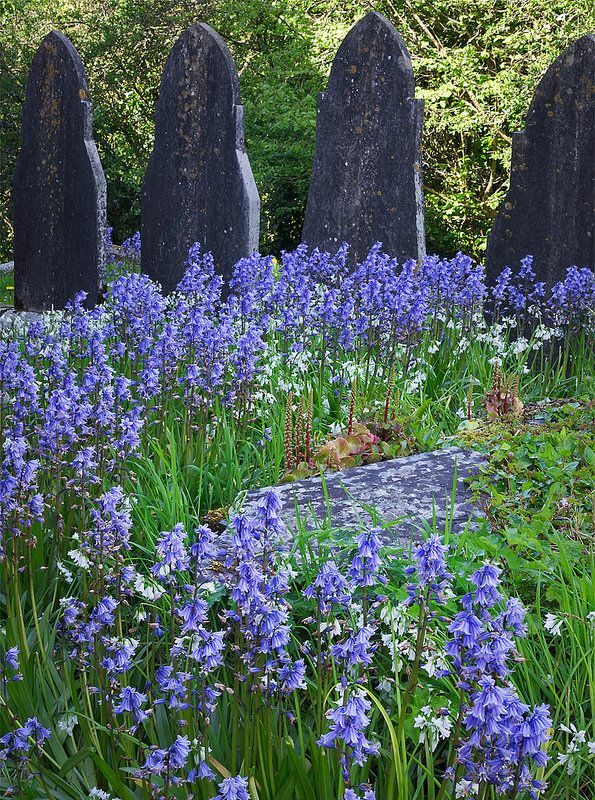 I already wrote a post about Tintern Abbey – ‘Romantic and Picturesque Tintern Abbey – Its Effect on Art and Poetry‘, so don’t be shy, check it out as it is connected with the topic of this post. 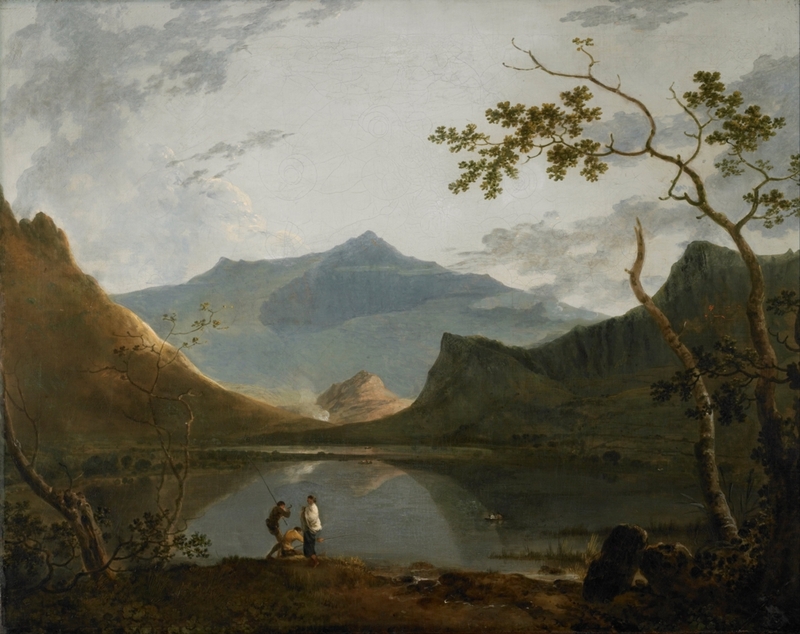 Apart from artists that found inspiration in Welsh landscapes, there was an artist native to Wales who decided to capture its historic and natural beauties – Richard Wilson. Although tremendously influential in his time, even awarded with the title ‘the father of British landscape painting‘ by John Ruskin, painter Richard Wilson and his beautiful landscape paintings have largely been forgotten. Wilson was born in 1714 in Penegoes, Powys, Wales, as a son of a clergyman. He lived in Italy from 1750-57 and that’s when his interest for landscapes blossomed. 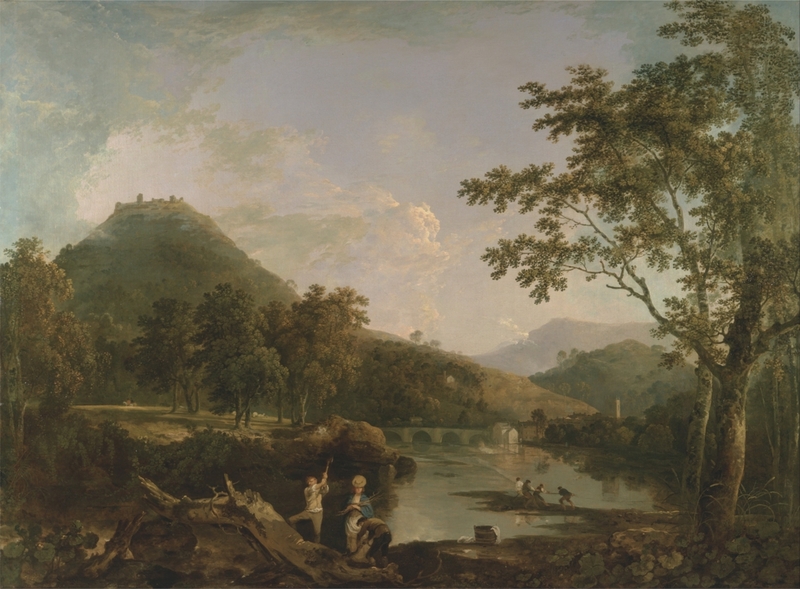 Inspired by the Baroque artists Claude Lorrain and Salvator Rosa, Wilson painted Italian and later Welsh landscapes, in turn inspiring many young artists such as John Constable and J.M.W. Turner who later formed the core of Romanticism in British art. Young Turner searched for the exact spots Wilson had painted from so that he could recapture Wilson’s dramatic work. 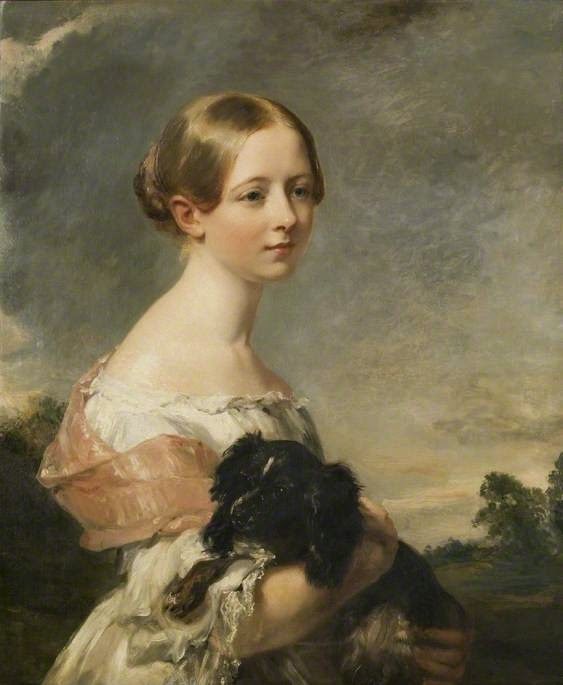 Constable copied Wilson’s technique of moving focus from the building to the scenery. Richard Wilson’s painting ‘Snowdon from Llyn Nantille’ is particularly interesting to me, not as much aesthetically as symbolically. In the foreground we can see three boys, three meaningless figures compared to the vast landscape surrounding them, but the background brings us something lavishing – Snowdon, the highest mountain in Wales. The clouds are drifting around its snow-capped peak, while the lake surface reveals to us the reflection of the mountain. The summit of Snowdon is said to be the tomb of a giant Rhitta Gawr in Welsh folklore. Also, in Arthurian legends, Sir Bedivere threw Excalibur into a lake identified by some as Glaslyn on the slopes of Snowdon. Arthur’s body was later placed in a boat in the same lake to be carried to Avalon. Another Wilson’s painting, Dinas Bran, shown above, is interesting because it shows the medieval castle Dinas Bran. Again, in Arthurian legends castle Corbenic, the domain of the Fisher King, is identified with a number of places, one of them the Dinas Bran castle itself. If you like the TV series ‘Merlin’ you must have seen the Fisher King’s castle in the episode ‘The Eye of the Phoenix’, one of my favourite episodes. I’m certain that this is not something Wilson had in mind when he painted Snowdon but I just wanted to include these little details because Welsh folklore and Arthurian legends are something that I’m interested in. 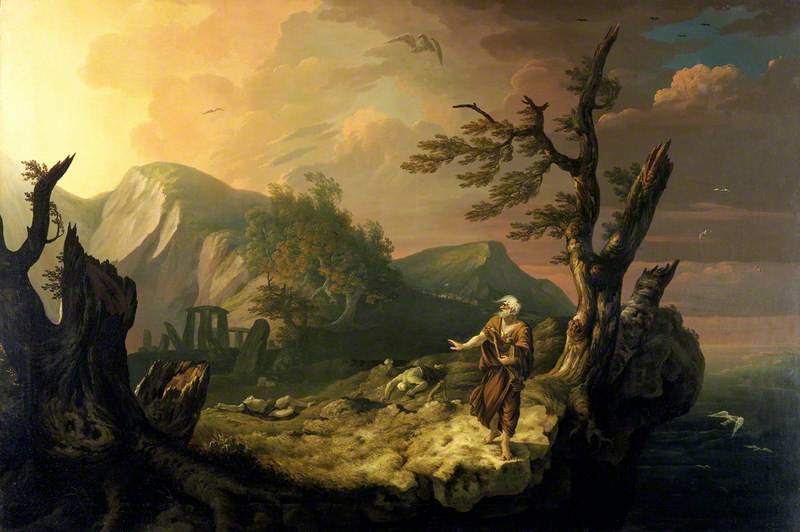 And finally, one peculiar painting that fully embodies the spirit of Romanticism – ‘The Bard’, painted in 1774 by Thomas Jones, another native Welsh artist. 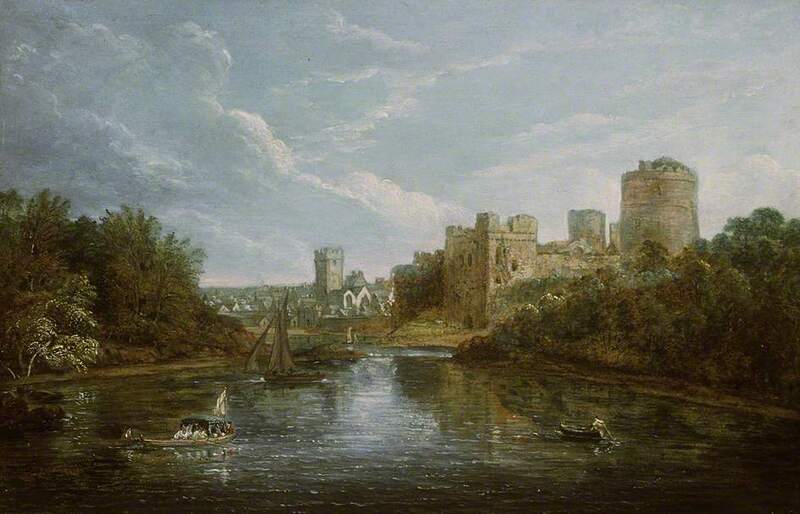 Once a pupil of Richard Wilson, Jones became a respectable landscape painter in his own right. The Bard is described as a ‘prophetic combination of Romanticism and nationalism‘ as it shows the emerging combination of the Celtic revival and Romanticism. The painting, inspired by Thomas Gray’s poem of the same name, brilliantly captures the mood of the poem. 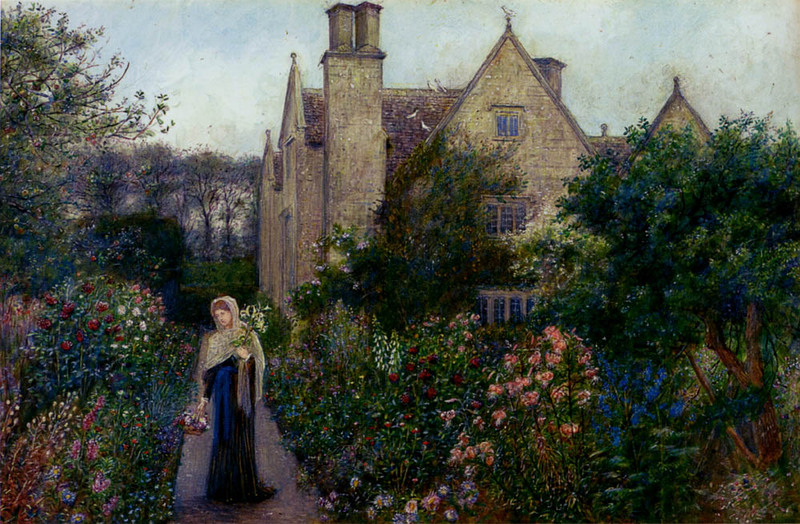 The poem and the painting make a great pair, combining elements of sublime, picturesque and Gothic, they foreshadowed the Romantic movement. 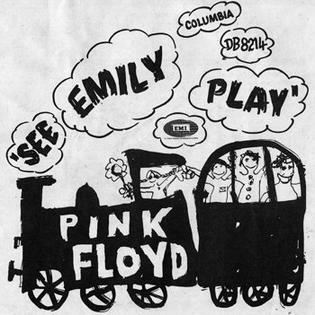 Pink Floyd’s second single, See Emily Play, allegedly told a story of a young aristocrat, known as the psychedelic schoolgirl. Mystical, whimsical and childish, verses of ‘See Emily Play‘ contain a deeper meaning than you’d expect. By reading this post further, you’ll discover the influences that created this beautiful and strange psychedelic gem; from Shakespeare and Romantics to Pre-Raphaelites and Pagan festivals. 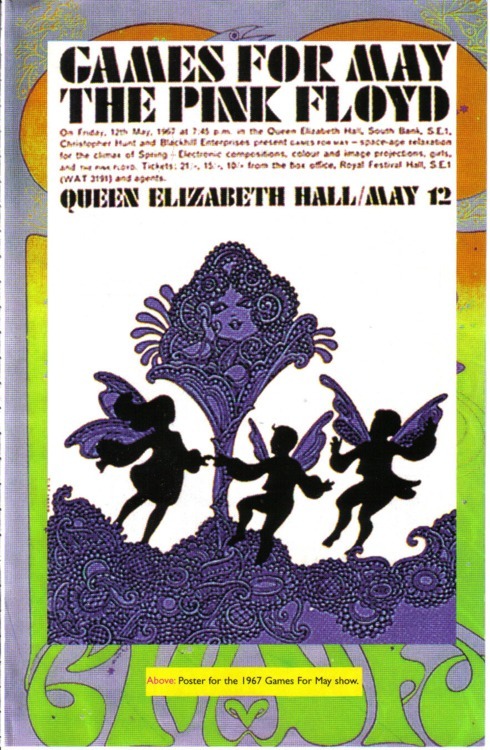 Recorded on 23 May 1967, and released on 16 June, the song instantly became a hit and struck a chord with the public, preparing the youth for a vivid and mind expanding atmosphere of, what was later known as, the summer of love. It was Pink Floyd’s second single which paved their way to success. Interviews and performances at the Top of the Pops soon followed. At that point Syd had already started struggling with the concept of being a commercial rock musician rather than being an artist. Still, the lyrics of the song represent the very best of Syd’s writing; witty, childish and whimsical, they are the testimony to the spirit of the 1960s, and yet some of the verses posses a certain mysticism. It is impossible to pinpoint precisely what inspired Syd to write this song for its verses are engulfed in mystery, as is the case in most of Syd’s songs. 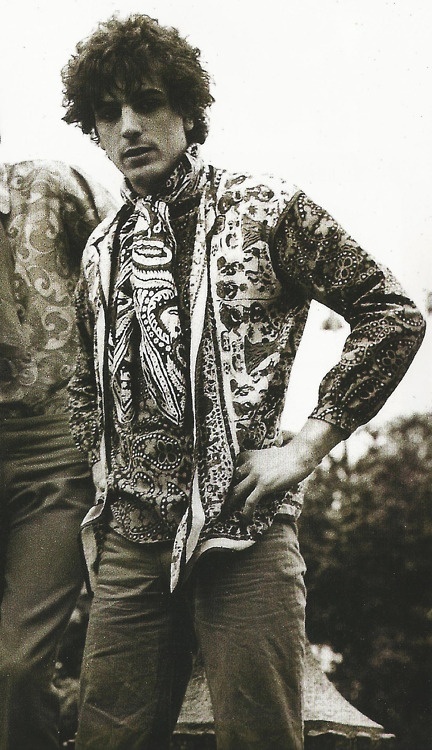 Syd himself had many versions, one of it was that he feel asleep in the woods after taking LSD and saw an unusual girl. 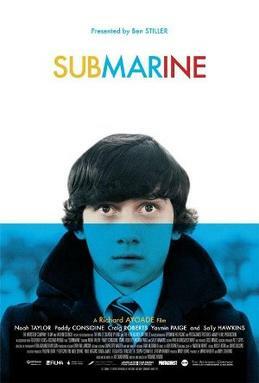 The main inspiration for the song was, in fact, a fifteen year old girl Emily Young, who skylarked across Holland Park to the London Free School with her friend Anjelica Huston. 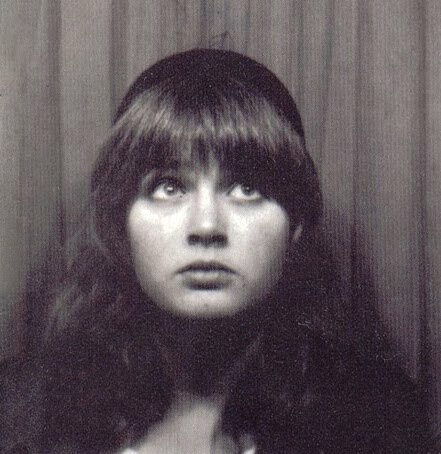 Emily was nicknamed ‘psychedelic schoolgirl’ at the UFO club. Intellectual curiosity prompted Emily to visit the Free School and educate herself beyond school curriculum. 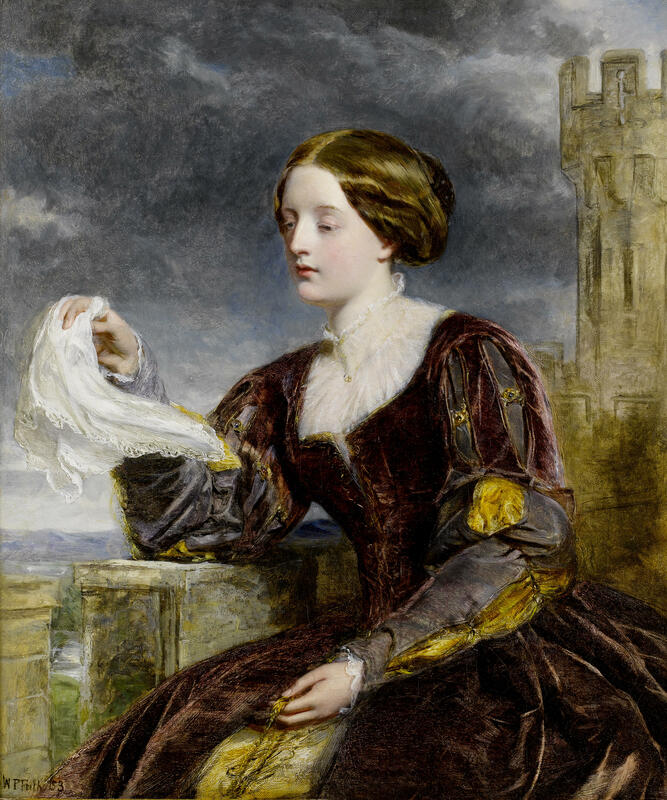 Her private ‘evening classes’ consisted of reading William Blake, existentialists and Romantic poets, dressed at the same time in a noticeable long Victorian style gown ‘that touched the ground’. Pete Brown said that ‘See Emily Play‘ was based on this schoolgirl. Syd’s young muse blossomed into a notable sculptor whose aim is ‘to tell a truth about the origins of human life and consciousness.‘ In a way her sculptures remind me of Gauguin’s work, at least in approach. Like Gauguin, Emily believes that the truth about life lies in primitive and archaic, and that art is hidden in the forces of nature, not in Western world galleries. I’m delighted to see that despite her progression from a confused 1960s schoolgirl to a prolific artist, she hasn’t lost the open-minded attitude towards life. Her worldview is still psychedelic. 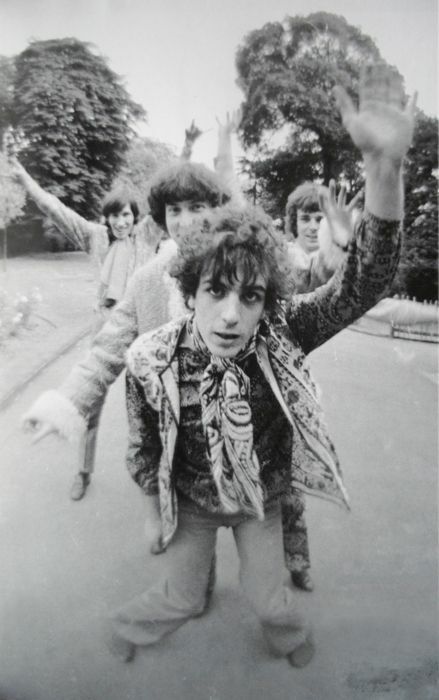 The story of Emily Young is, however, merely a segment of Syd’s fantastical song. 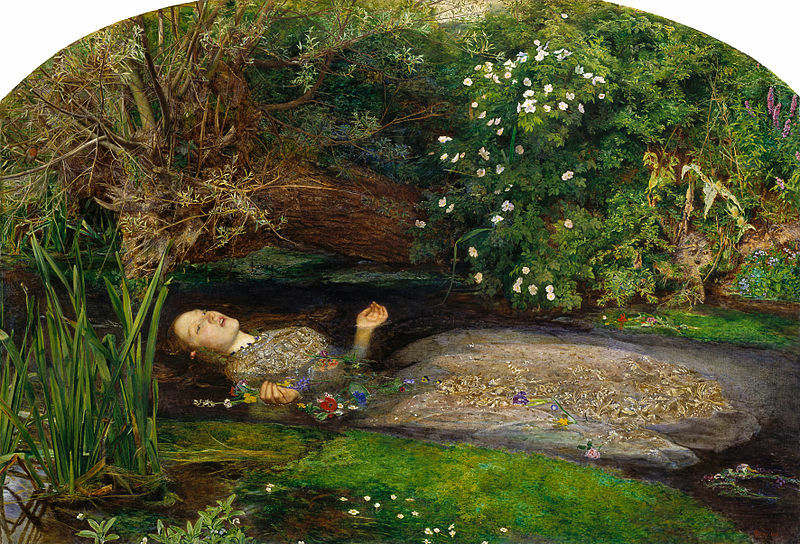 The opening verses of the third stanza can instantly be connected to Millais’ Pre-Raphaelite masterpiece – Ophelia. 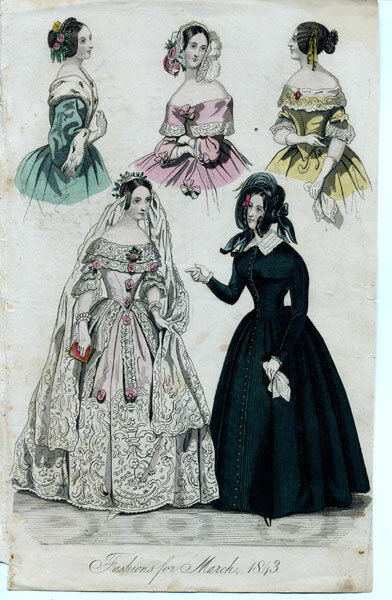 It is impossible to believe that the whole century separates these two maidens in long flowing gowns! ‘Put on a gown that touches the ground, ah ooh, Float on a river forever and ever, Emily…’ Emily’s graceful figure full of calmness in a flowing white gown that touched the ground, so brilliantly white against the darkness of the dance hall in All Saints, caught Syd’s eye while he wailed ‘I’m high, Don’t try to spoil the fun‘ into the microphone. Beautiful and complex, strange as the mists of Avalon, this pop gem is at once intelligible and psychedelic all the way. It simultaneously unites all the elements that Syd’s fantasy world was made of; May Queens and Green Man, psychedelic drugs, tragic heroines, mysterious world of Pre-Raphaelite paintings, children’s stories, Romantic poems along with bright and innocent childish visions. 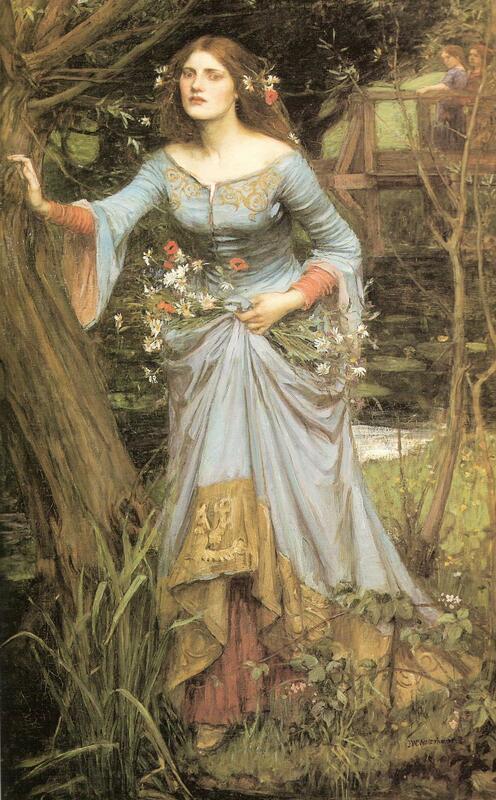 See Emily Play is, at the same time, a hymn to the English woods, willow branches, rivers and pagan festivals, as well as the embodiment of dozens of archetypes of European literature – tragic and innocent maidens such as Ophelia. 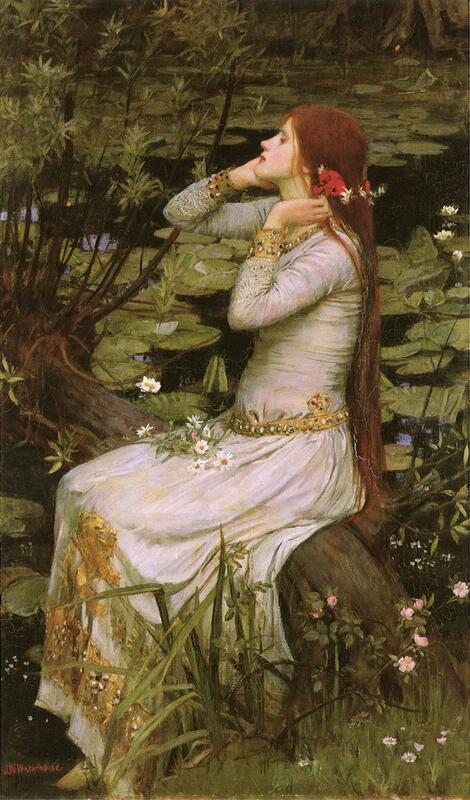 We know that Barrett was familiar with John William Waterhouse’s rendition of Ophelia who is painted in a long flowing gown, surrounded by the magnificent and mysterious woods and deep sinister water. 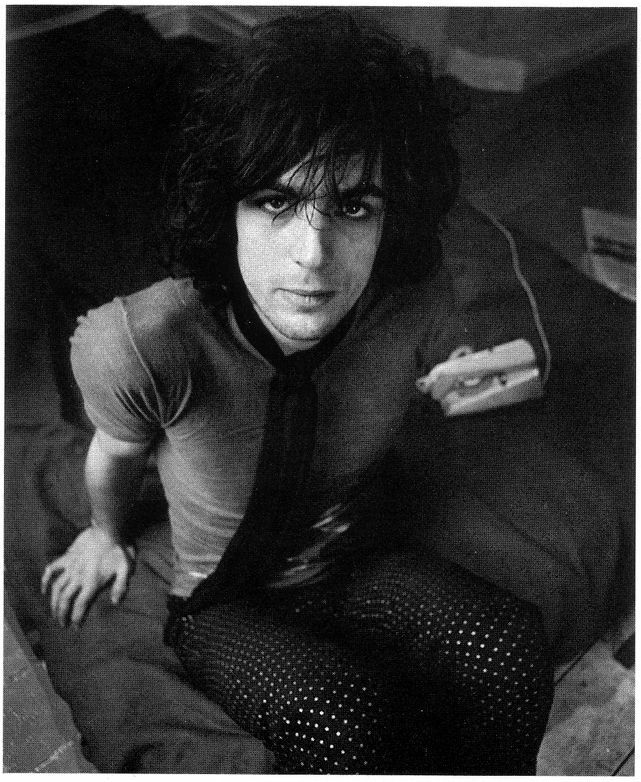 Flowers, mystery, lost maidens, muses; all amalgamated in the mind of a psychedelic Mad Hatter of rock ‘n’ roll – Syd Barrett. Influence of a great Romantic poet, Percy Bysshe Shelley, can also be traced in Syd’s writing. Shelley’s poem ‘The Song of Asia‘ was printed in Syd’s copy of ‘The Cambridge Book of Poetry‘. 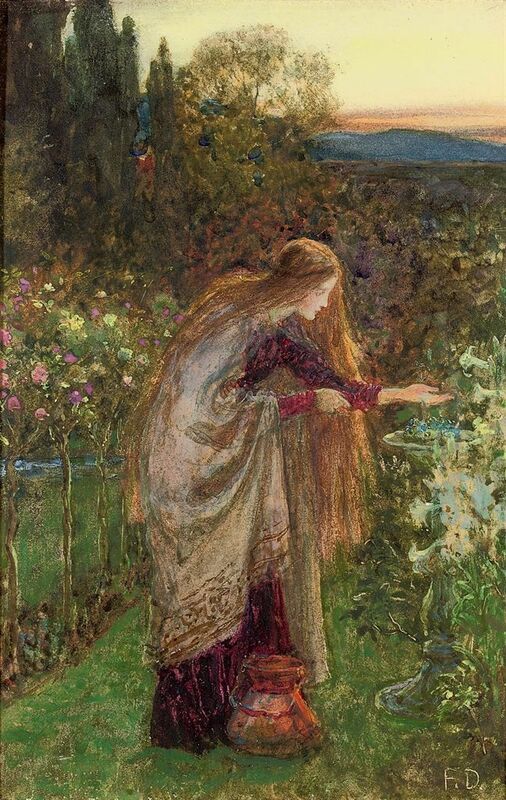 Specific verses evoke both the spirit of the song, and the ones of the Pre-Raphaelites masterpieces. 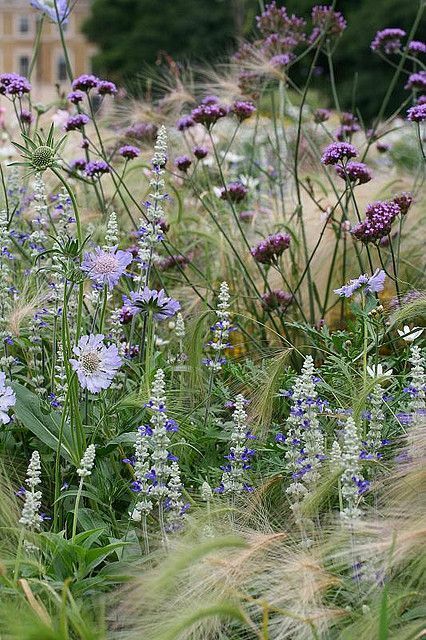 ‘Whilst all the winds with melody are ringing. Final stanza of ‘See Emily Play‘ offers the listener a feeling of isolation; floating forever on a river, in loneliness and sorrow. 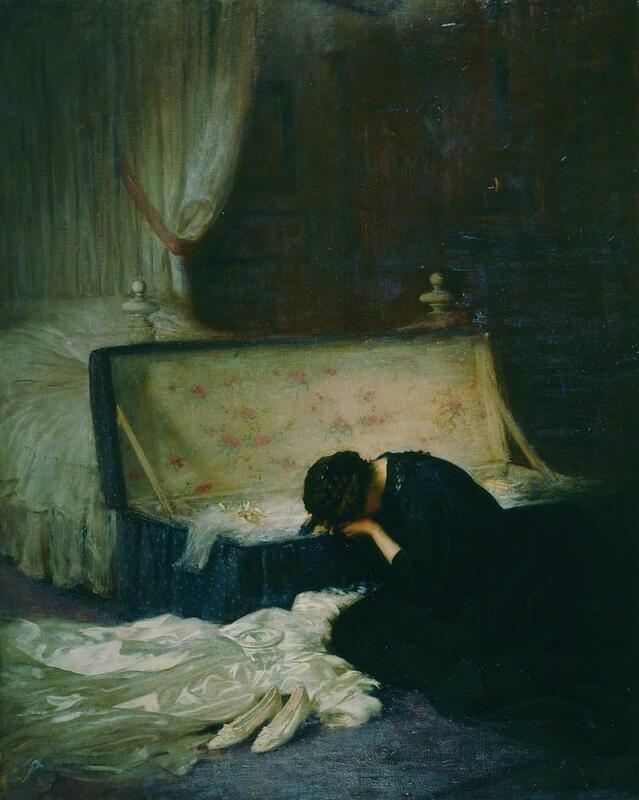 Tragic destiny awaits Emily, as it awaited other innocent heroines before her; Ophelia, Lady of Shallot, Lavinia… At the same time, these verses may suggest a more personal subject, the one that never stopped occupying Syd’s mind; the end of childhood, days of innocence and playfulness are gone forever. Still, the usage of the same subject, by artists centuries apart, from Shakespeare, Romantics and Pre-Raphaelites to Syd Barrett, shows us that themes in art are eternal, whether it’s a poem, a painting or a rock song. 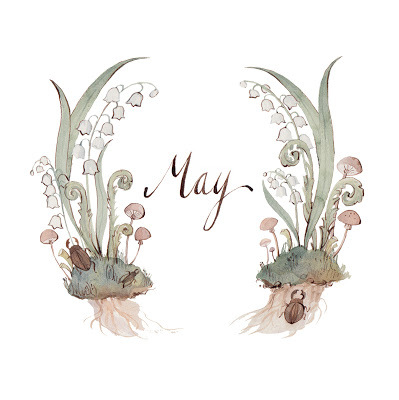 I decided to write about this song because it’s beautiful and lyrical, thematically rooted in nature, folklore and other artworks that I love, and most importantly – it is a song I can identify with. In fact, it is the only song I can identify with, especially with the verse ‘She’s often inclined to borrow somebody’s dreams till tomorrow’. Then the ‘free games for May’ and I was born in May. For an unknown reason, I’ve felt like a ‘psychedelic schoolgirl’ for a long time. 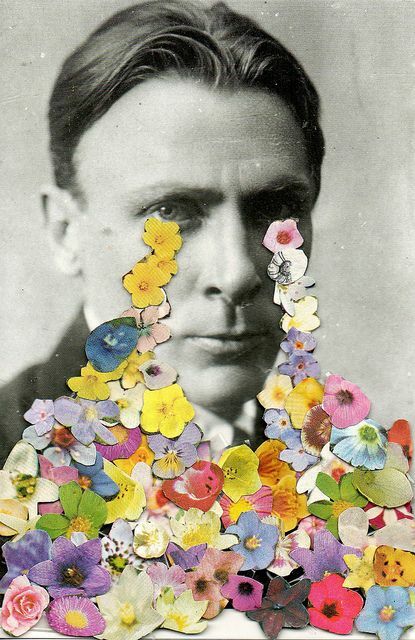 One cannot be sad when one is immersed in psychedelia. My reading tastes are rather eclectic but anchored in the 19th century. I have only scratched the surface of literature but still wanted to share with you the list of books that I’ve particularly enjoyed. I’m a slow reader so there’s always a ton of books on my endless reading list. 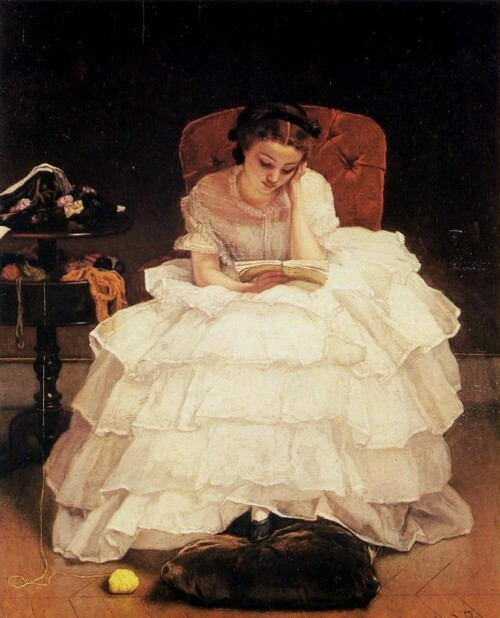 It sometimes takes me a whole month to read one book! 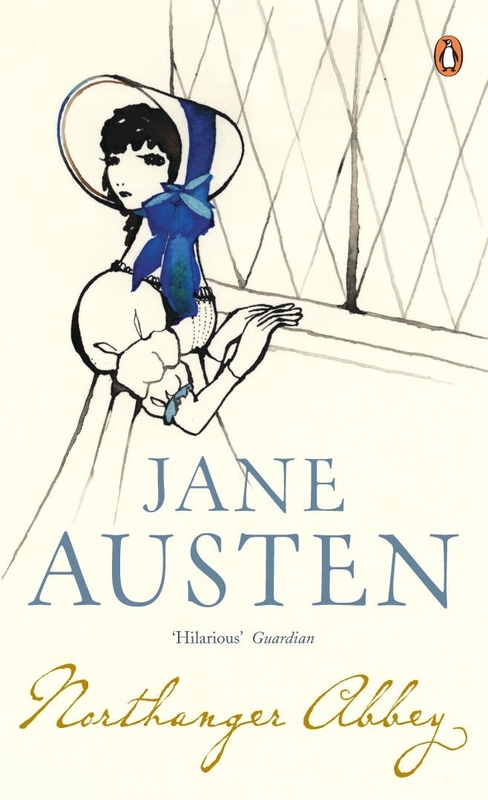 1) books that inspire me, give me comfort and which I enjoy rereading. Well, that’s it. I hope that you like some of these books and authors. If you have any suggestions about the books I should read be free to let me know. ‘Shall I compare thee to a summer’s day? Indeed I could have written this post earlier, but I couldn’t decide what to write about, so I wasted two hours of my life on deciding. Now I understand Helena Bonham Carter when she says ‘I’m a Gemini, I can’t decide.‘ I’m a Gemini, I know what she’s talking about. 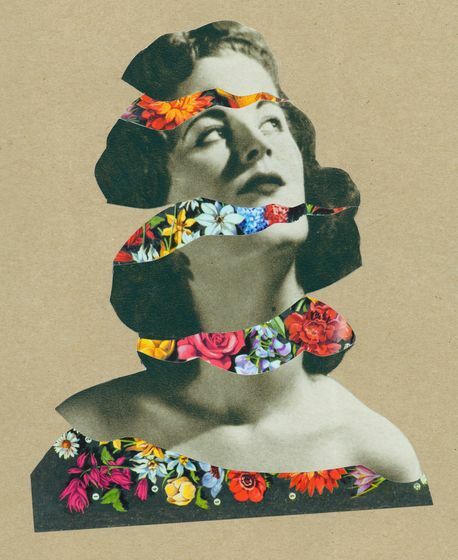 Lately, collage artworks have caught my attention, which is rather weird for I’m not usually fond of contemporary art. However, I saw a peculiar mix of collage, drawings, textiles and photographs that really impressed me. 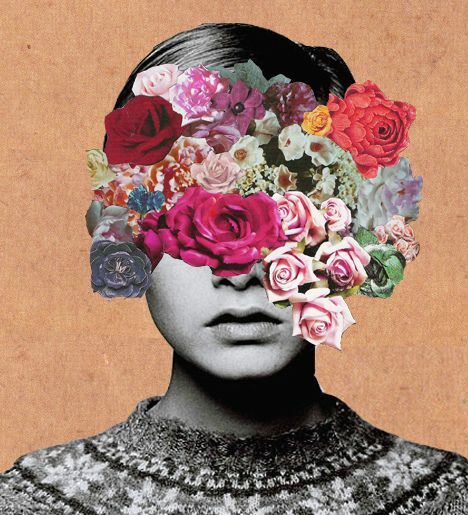 These mixed media artworks were made by Halima Akhtar while she was a student at Woldingham School, Caterham, Surrey. You can see her sketchbook and read the article HERE. 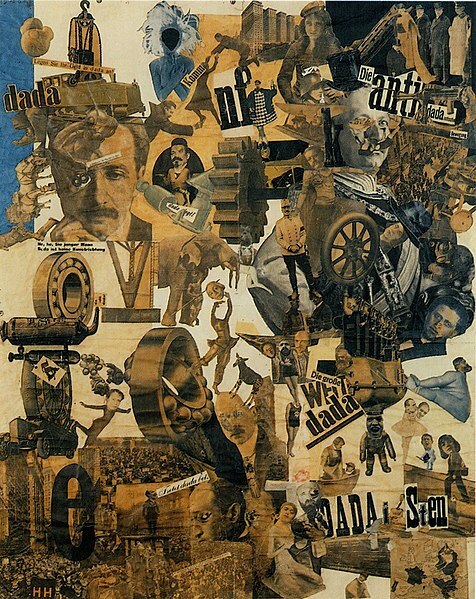 Collage is an interesting art technique which can be conducted on many different ways, from Matisse’s simple cut and paste works such as ‘The Snail‘ to fantastic Pop-Art works of Warhol and Richard Hamilton. 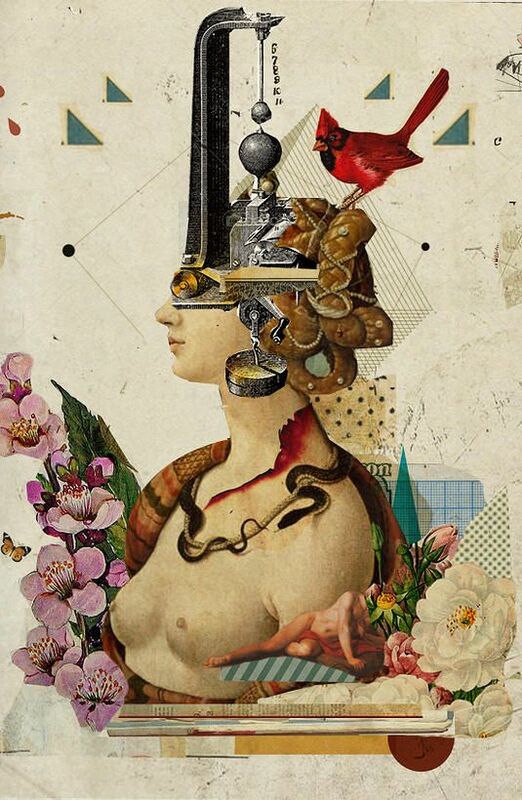 The latter is the most interesting type of collage to me, but Halima’s creations have certainly broadened my horizons when it comes to mixed media works. 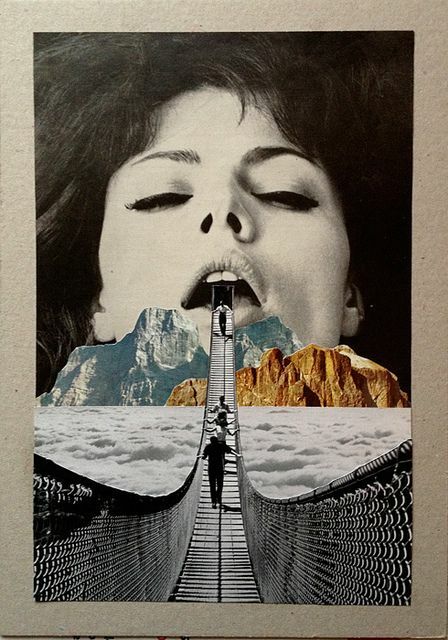 In my opinion, collage is a powerful medium but easily exploited at the same time. It’s easy to make a collage, but it’s very hard to make a good one. Anyone can cut a few pieces of paper and glue them together, but it takes vivid imagination to create a new, surrealistic dimension, or an intellectual statement, or at least something new, fresh and interesting. 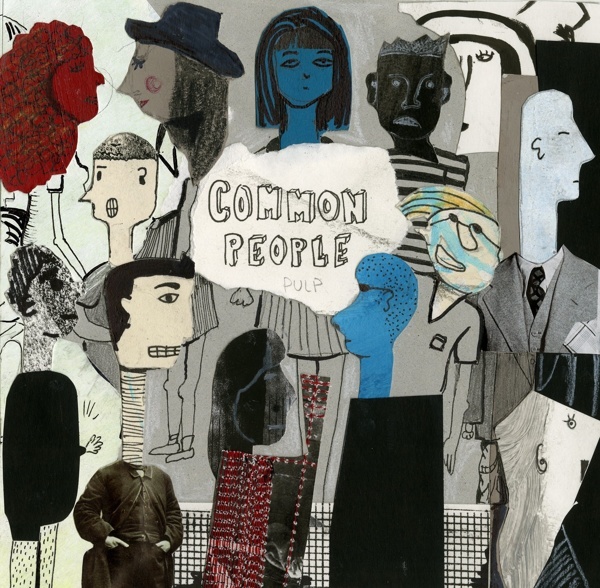 Also, may I add that the music video for Franz Ferdinand’s song ‘Take me out‘ features some mental Dadaist and Terry Gilliam style animations. This is a story I wrote recently, and decided to share it with my lovely readers! Every day Gwyn would come to the beach, to watch the sea waves in the magnificent silence, which she praised above all. It was the only place she felt happy and relaxed. Sea was a wellspring of life for her, and the smell of it reminded her of childhood. Every day of the year Gwyn came there, and watched as the waves clasp one another in eternal harmony. She loved observing the sky too; from the richly coloured sunsets to drab and grey skies in the winter. No matter how she felt or what had happened to her that day, the moment she stepped on the colourful pebble stones with her cherry red rain boots, all was calm again. Voices inside her head were silenced by the sounds of the waves. Tranquility and solitude refreshed her mind from daily worries and despair. Gwyn has never achieved anything in her life. 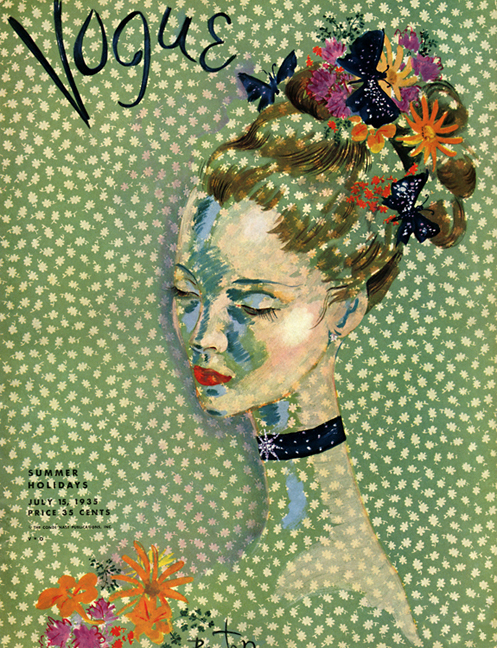 She longed to be a ballerina; she spent her childhood admiring Degas’ paintings. To her childish eyes they seemed like another world; world of theatre and ballet. On the candlelight the ballerinas came to life; more elegant and vivid than in day light. 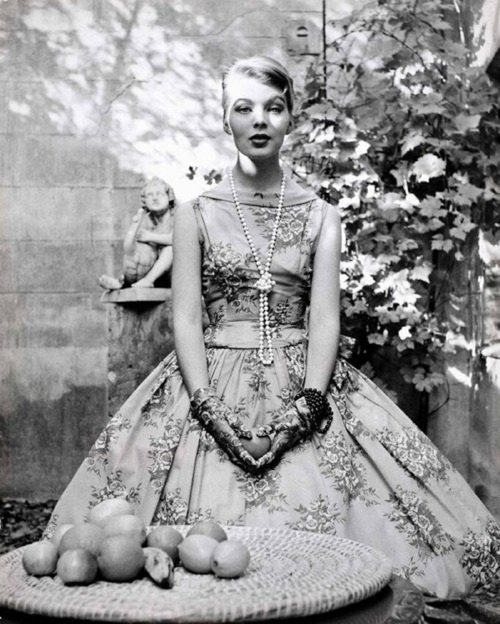 But this fascination with the fanciful world of theatre, the beauty and opulence of the stage contrasted so much with her drab bedroom in a council house. She thought it strange how one shiny red velvet curtain divides such different worlds; a vivid world of dreams – the stage, and a grey world of reality. Gwyn hoped to be a ballerina too, but fate had other plans – she had nor the talent, nor the money, nor the courage to follow such grand passions. She became an actress instead. The moment light hit the stage and the whispers of the audience stopped, Gwyn shone like a star, her voice trembled, her cheeks blushed, her eyes filled with tears. 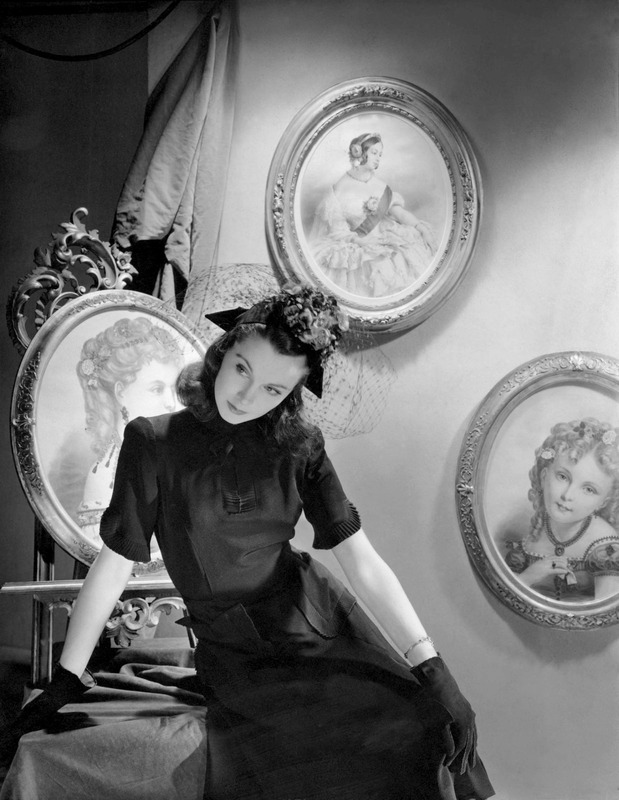 The theatre life was vivid, the real one – engulfed in solitude. Which is the real life? The one she enjoys living, or the one she is forced to endure? – These questions wandered through her mind while she sat on the beach, eyes fixated on the sea. On the stage she can be everything she wants, she can feel; love, fear, tremble, cry. In real life, she feels nothing. Her soul is as empty as the sky above. The insignificance of her life was unbearable. She could not endure it any longer. One drab Wednesday afternoon Gwyn was again sitting on the beach. Sea always reminded her of eternity. She gazed at the waves and the flickering sea foam, overwhelmed by the beauty and harmony that stood right before her eyes. But how little, plain and immaterial she felt compared to the sea! She longed for the power to disappear, not die, but calmly fade away… into the waves, into the cold water, into eternity! These thoughts filled her heart with rapture. She stood up, trembling from excitement, and walked slowly until she was approached by the sea waves. She stepped out of her red rain boots and walked barefoot into the cold seawater. ‘It has been found again. She whispered into the sunset, her body trembling, not from the cold water, but from delirium. Gwyn continued walking into the sea, finally free from the lightness of living, until, carried by the waves, she became wholly amalgamated with the sea. Gwyn vanished into eternity, fully immersed into the emptiness of life. All that was left of her were a pair of cherry red rain boots. Until the waves swept them away too.